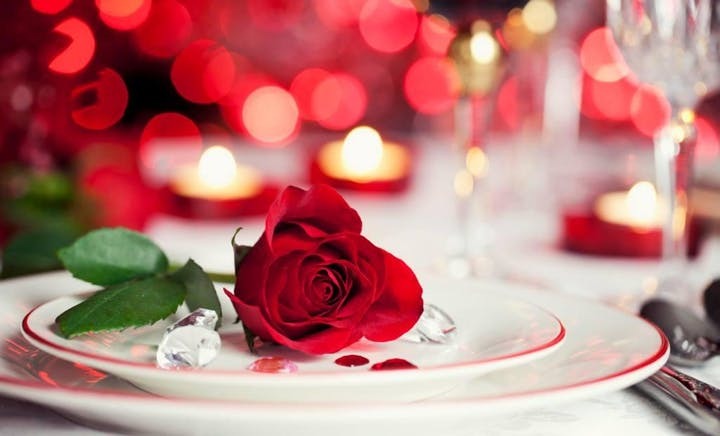 Take your special someone to a romantic Valentine's Day Dinner Buffet in Daytona, hosted in Doc Bales' Grill in the Hilton Daytona Beach Oceanfront Resort. Spoil each other with lavish selections of steamed snow crab, classic cioppino, a raw bar of oysters & shrimp, crab-stuffed mahi-mahi, carved-to-order prime rib, fire-kissed asparagus, lobster mac & cheese, extensive salad bar & endless desserts. The Valentine's Day dinner buffet will be hosted in Doc Bales' Grill in the Hilton Daytona Beach Oceanfront Resort. Couples price is $125++ and includes 2 dinner buffets, 2 glasses of champagne, complimentary valet, a rose and a live band in the hotel's bar McCoys Rum Room. Call (386)254-8200 ext 7033 for more information and reservations.